A list of questions to help guide those new to annual reports get started with annual report planning. 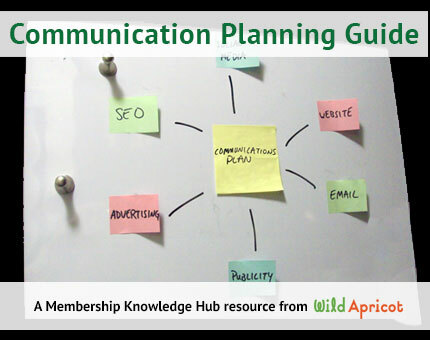 This article by Wild Apricot is designed to help the staff and volunteers of small non-profit and membership organizations that are just getting started with supporter communications and engagement planning. If you are looking for a channel to provide timely updates about your organization and mission and/or you want to encourage interaction and dialogue with your constituents, then a blog may be right for you. Is an email newsletter part of your communication mix? You might want to step back and take a good look at your e-newsletter to be sure it is meeting your objectives. A forum is an online discussion site or place on your website where your members or supporters can post messages and others can view and reply to these messages, and it can be an effective engagement tool. Wild Apricot developed this beginner’s guide for organizations just getting started on their social media journey. It offers: an introduction to the types of social media available; some guidance for how to get started; establish social media goals; and build your online presence. This Idealware article is a good starting point if you are new to website, email or social media management.